An article published in the journal “Nature Astronomy” describes unprecedented observations of matter around a black hole. 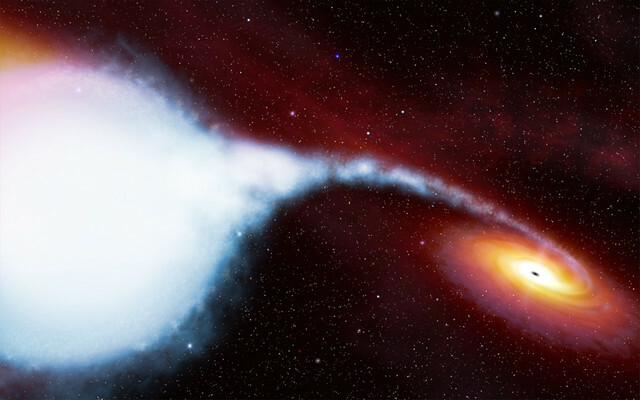 A team of researchers used the data detected using an X-ray polarimeter on board the PoGO+ satellite to obtain information on the part of hard X-rays that are reflected from the accretion disk around the black hole of the Cygnus X-1 system and identify the shape of the matter that composes it. 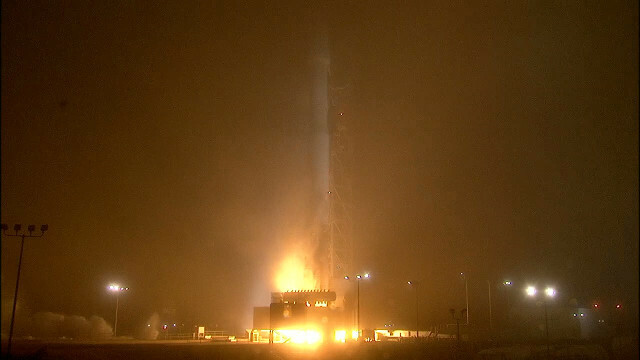 A few hours ago, the two GRACE-FO twin spacecraft were launched on a Falcon 9 rocket from the Vandenberg base. After about ten minutes they successfully separated from the rocket’s last stage and entered a polar orbit. Shortly thereafter they started transmitting telemetry signals. SpaceX’s mission continued with the launch of 5 satellites of the Iridium constellation. 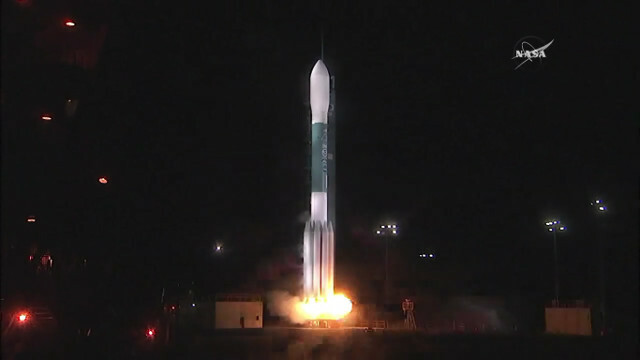 A few hours ago NASA’s InSight lander was launched together with the two Mars Cube One nanosatellites from the Vandenberg base on an Atlas V 401 rocket. After about 1.5 hours they separated from the rocket’s last stage, called Centaur, and went en route to Mars. The InSight (Interior Exploration using Seismic Investigations, Geodesy and Heat Transport) mission aims to investigate the geology of the planet Mars. A lander equipped with a seismometer, a thermal sensor and other instruments that will analyze the red planet’s internal structure. This will allow to obtain new data on its formation, also contributing to the existing models on the formation of rocky planets such as the Earth. 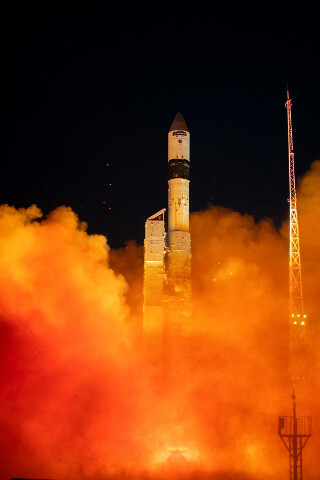 A few hours ago the Sentinel-3B satellite, part of the GMES / Copernicus program, was launched from the Russian Plesetsk Cosmodrome on a Rockot launch vehicle. After about an hour and a half it separated from the rocket’s last stage, called Breeze KM, it started communicating with the control center and to deploy its solar panels. Its final orbit is Sun-synchronous, which means it will pass over a certain area of ​​the Earth at the same local time, with an altitude of about 815 kilometers (about 506 miles). A little while ago the JPSS-1 satellite blasted off atop a Delta 2 rocket in its 7920 configuration from the Vandenberg base. 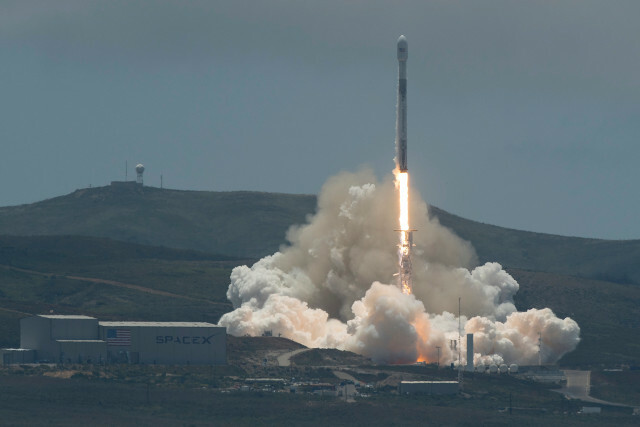 After almost one hour it successfully separated from the rocket’s last stage and entered a Sun-synchronous orbit, meaning it will fly over every area of ​​the Earth’s surface at the same local time, at an altitude of about 824 kilometers (512 miles).